In Kashmir Valley, the carbonate rocks cover an area of about 1100 km2, of which 58% lie towards the southern part. Carbonate lithology in the form of Triassic Limestone constitutes significant karst geomorphologic imprints including solution features, swallow holes, conduits, shafts, caves and large springs. Hydrochemical data of major springs of Kashmir Valley indicate that the spring water chemistry is dominantly contributed from weathering of carbonate rocks. The karst spring waters are undersaturated with respect to calcite and dolomite, and PCO2 of the spring water is more than atmosphere, suggesting the groundwater in karst system is highly aggressive and capable of dissolving the host rock in most of the seasons. During winters, when there is negligible recharge, the spring waters are not aggressive as the carbonic acid is consumed and not replenished, leaving the waters saturated with respect to calcite and dolomite. The observed large fluctuations of spring discharges from daily or seasonal to annual scales reflect the quick flushing of groundwater and the extent of development of subsurface karstification in the region. The karst springs were found to respond immediately to ambient temperature, which causes snow/ice melting, and rainfall, which increases the recharge. Given the high relief of the Kashmir Valley and strong isotopic variability, the vertical isotopic gradients were estimated in different mountainous catchments. 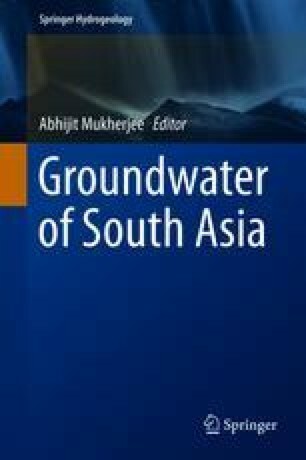 Keeping in view the high permeability, short transit times and multifaceted importance of karst springs in the region, effective approaches are required for the management and protection of these vital groundwater resources. The research work was funded by Department of Science and Technology (DST) Govt. of India, under the research project, DST No: SERB/F/1554/2012.